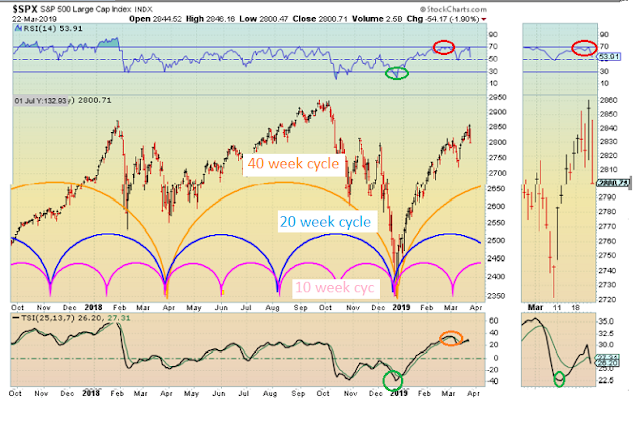 short answer - "cycles NEST"
The last 40 week cycle bottom was Christmas Eve. 9 months is 39 weeks - so the top of the 40 week cycle is 4 1/2 months from that and is mid May. 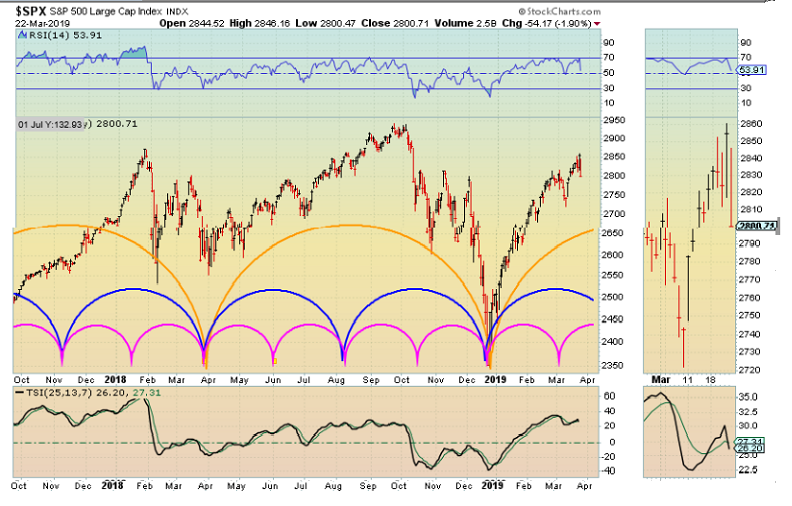 So for now I focus on shorter cycles (10 week or 5 week cycles for swing trades). 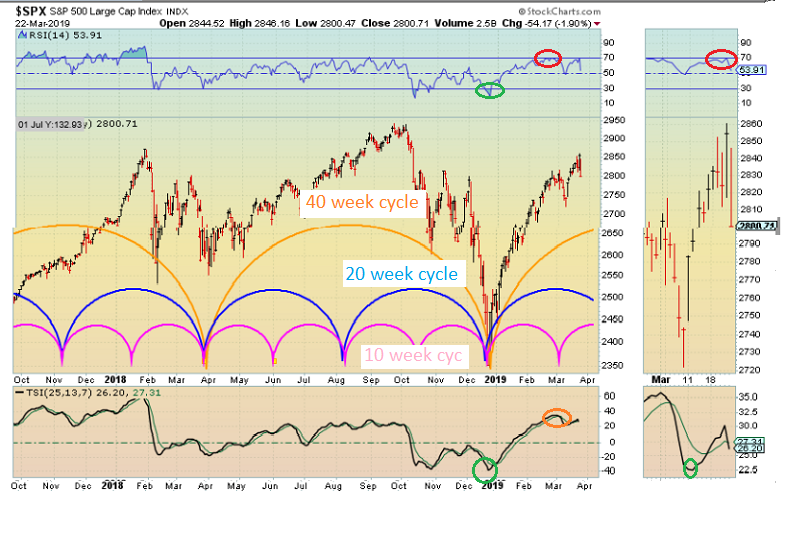 The 20 week cycle bottoms as the 40 week cycle tops. Most technicians refer to this as a mid-cycle pull back. I believe this is in sync with what you are referencing.